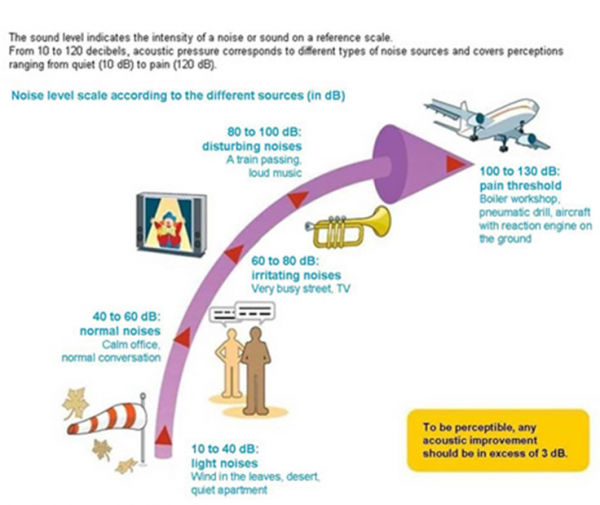 All around the world, general noise is at an alarmingly high level. Exposed to the soundtrack of modern day life, you are bound to reach your tolerance level rather quickly. It’s a well-known fact that noise pollution not only makes relaxation more difficult, it also brings about physical stress, in some cases causing pain and can ultimately pose a serious health threat. Today, any kind of protection from noise definitely helps to improve your mental and physical well-being. There are different types of sound sources, namely airborne and structure borne. Airborne sound describes the sound that directly radiates from a source and travels through the air, e.g. neighbours’ voices, traffic noise or the sound radiated from a home cinema next door. The second type of sound, such as banging, drilling and rolling noise, is mainly transmitted via the structure of the building itself, which is why it’s called structure-borne sound. In order to block out ambient noise, external walls, roof and windows need to be adequately insulated. In addition, the sound propagation in a room is different from the sound propagation in a free field as sound is reflected from hard surfaces and can negatively influence a room`s acoustics. Carefully designed internal walls, floors and ceilings can absorb the noise produced within the room itself. It is also important to effectively insulate sound carriers such as ventilation systems. 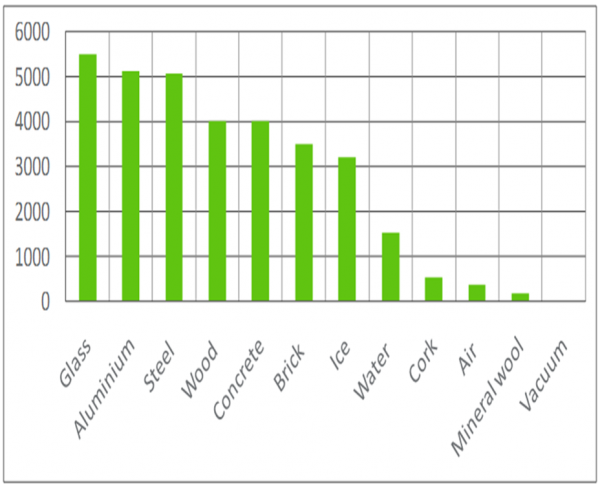 When specifying acoustic insulation it is important to check the product’s Noise Reduction Coefficient (NRC Value), which is a general indicator of its ability to dissipate sound and to what degree this is achieved. Choose the appropriate solution and performance for the type of surface. Its superior properties achieves much better thermal insulation values than conventional massive construction methods.